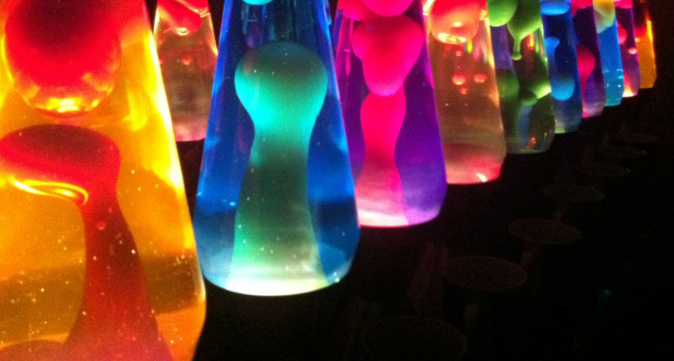 Question: What makes the BEST homemade lava lamp effect? Lava lamps work by heating wax. As the light in the bottom of the lamp warms the wax, the wax expands and its density decreases. Gravity pulls the higher density liquid down allowing the lower density, warm glob of wax to rise to the top of the lamp. As the wax travels away from the heat source, it cools and its density increases causing it to sink. The incandescent bulb at the bottom of the lamp heats the wax bubbles again, creating a cycle. For our experiment, heated wax cannot be used in the time we're allowed. 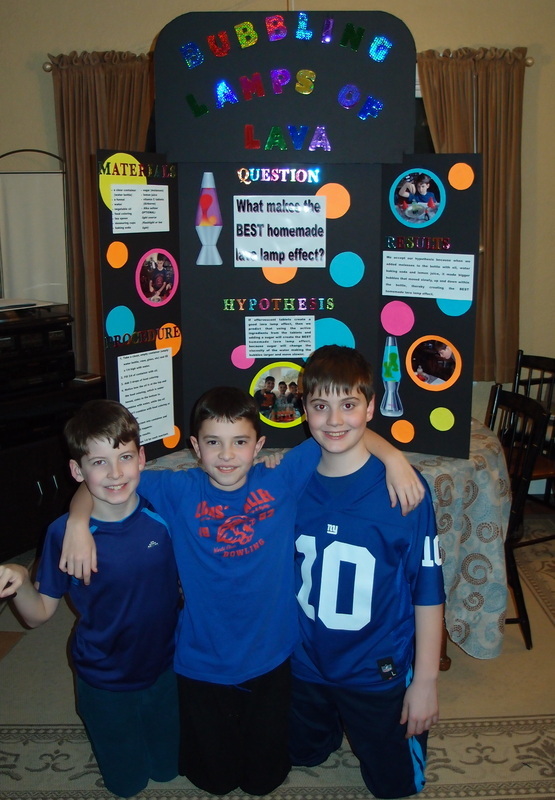 So our question is: What makes the best homemade lava lamp effect? 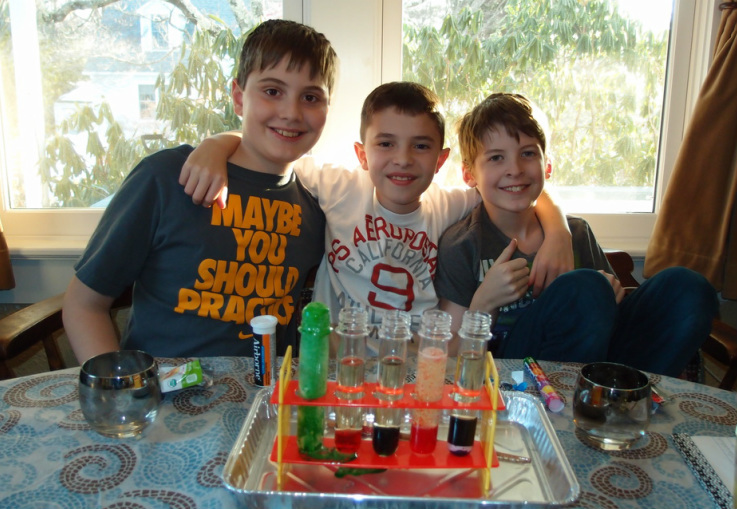 If effervescent tablets create a good lava lamp effect, then we predict that using the active ingredients from the tablets and adding a sugar will create the BEST homemade lava lamp effect, because sugar will change the viscosity of the water making the bubbles larger and move slower. 2. Do not drink liquids. 4. wait for bubbles to finish rising before placing the cap on the bottle. Take a clean,empty container (empty water bottle,vase,glass,etc) and fill a 1/4 high with water. 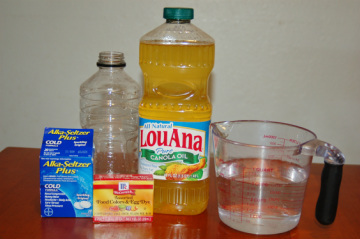 Fill 3/4 of container with vegetable oil. Add 3 drops of food coloring. Notice how the oil is at the top and the food coloring, which is water based,sinks to the bottom to combine with water. Also the oil doesn't combine with food coloring or the water. Drop a reactant into container. Watch what happens. 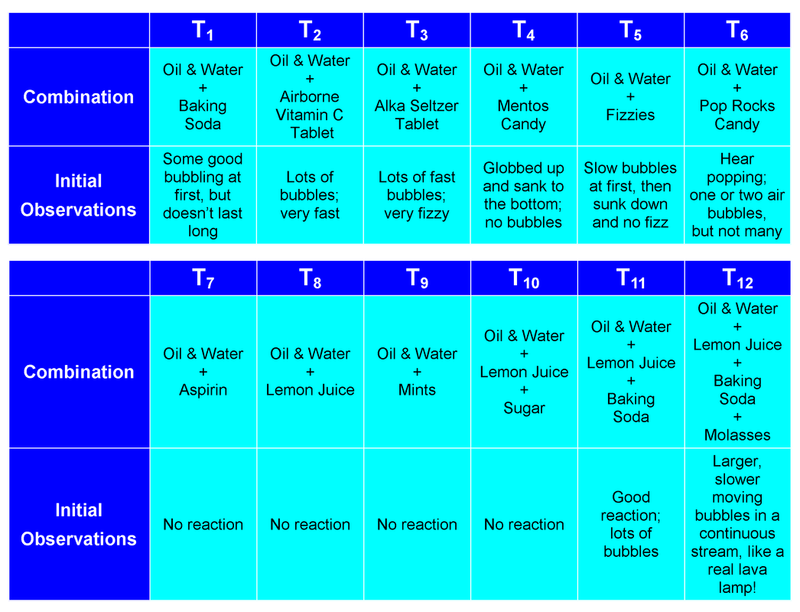 Repeat steps 1-6 for each reactant. An enclosed room where we can turn the lights off to make it as dark as possible. The fluid motion that creates a lava lamp is created by the Rayleigh Taylor Instability which "is an instability of an interface between two fluids of different densities that occurs when one of the fluids is accelerated into the other". In our experiment the acceleration is caused by the carbon dioxide bubbles and gravity. Why does the oil sit on top of the water? Density is the weight of liquids, in our case oil and water, oil and water do not mix because they have two different densities. Water is more dense, so it sinks to the bottom. The oil is less dense, so it floats to the top. What keeps the oil and water from mixing? Water (H2O) is what is known as a "polar" molecule. The hydrogen molecules are positively charged and the oxygen molecule is negatively charged. Just like a opposite poles on magnets, this makes the hydrogens and the oxygen stick together AND have an overall positive charge or polarity. This makes water a "polar" solvent. Therefore, only hydrophilic (water-loving) substances are appreciably miscible in water. Oil, on the other hand, has no polarity (neither a positive nor a negative charge). They are made of hydrocarbon chains. The elements and structure of oils are "hydrophobic" (water fearing). Since the positively charged water can't attract the oil, the two never mix. How can we slow down the flow of the bubbles and make the bubbles bigger? Viscosity is a measure of a fluid's resistance to flow. It describes the internal friction of a moving fluid. A fluid with large viscosity resists motion because its molecular makeup gives it a lot of internal friction. A fluid with low viscosity flows easily because its molecular makeup results in very little friction when it is in motion. Adding sugar (or molasses) changes the viscosity of the water. As an example, molasses has a slower viscosity than water. In our experiment we mix molasses with water, which will change the viscosity of the water making it slower. 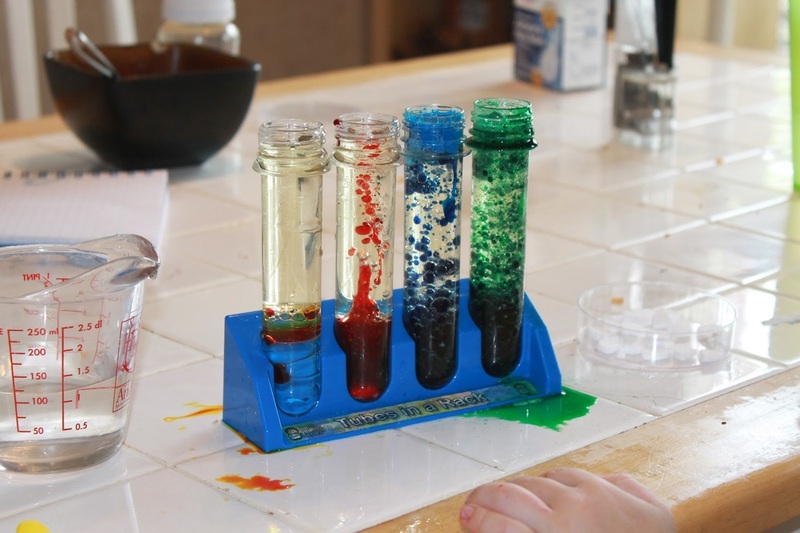 We accept our hypothesis because when we added molasses to the bottle with oil, water, lemon juice and baking soda, it made bigger bubbles that moved slowly, up and down within the bottle, thereby creating the BEST homemade lava lamp effect. Anthony is 10 years old and in fifth grade at SIS. His favorite things to do are playing soccer, baseball, and video games. He also enjoys playing the trumpet. He is an active member of Den 4, Pack 11 cub scouts. His favorite subjects in school are math and science. Ryan is a fifth grade student at Somers Intermediate School (NY) who loves sports, video games and science! When not at school, Ryan can be found on the soccer field or on the diving boards at the SUNY Purchase Aquatic Center, practicing his flips and twists. Tom is a 10 year old fifth grade student who loves cats and video games. His favorite subjects in school are math and language arts. He takes piano lessons too. His favorite sport is tennis. He hopes you have lots of fun with this project!! !